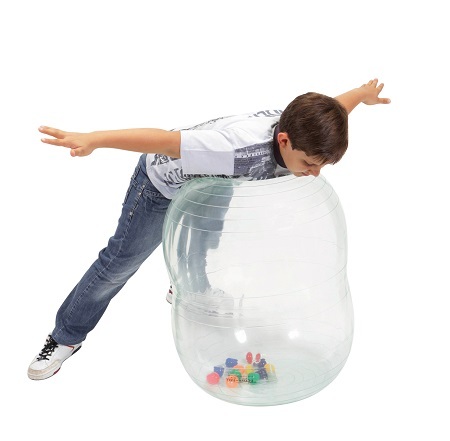 These Gymnic Children's Activity Peanut Ball Rolls are perfect for child play. The Physio Activity Roll is a version of the classic Physio Roll with colored small balls inside the roll itself that fly around when it's rolled or bounced. These small balls, together with the product transparency, provide an amplified three-dimensional view. The children's activity peanut shaped roll is great for sensory stimulation and visual play. This tool is particularly recommended to foster eye mobility. It is used for physio-therapy exercises and for play activities. Kids are fascinated by this cleaver children's activity exercise roll and will play with it for hours. Made by Gymnic. 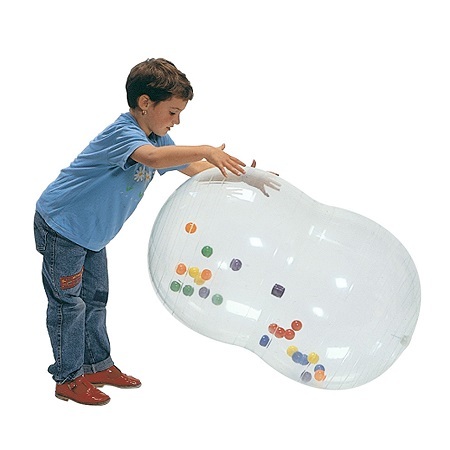 Makes a great exercise toy for all kids! Very highly recommended for therapy use to promote three dimensional sight and coordination. It also makes a nice and interesting toy.